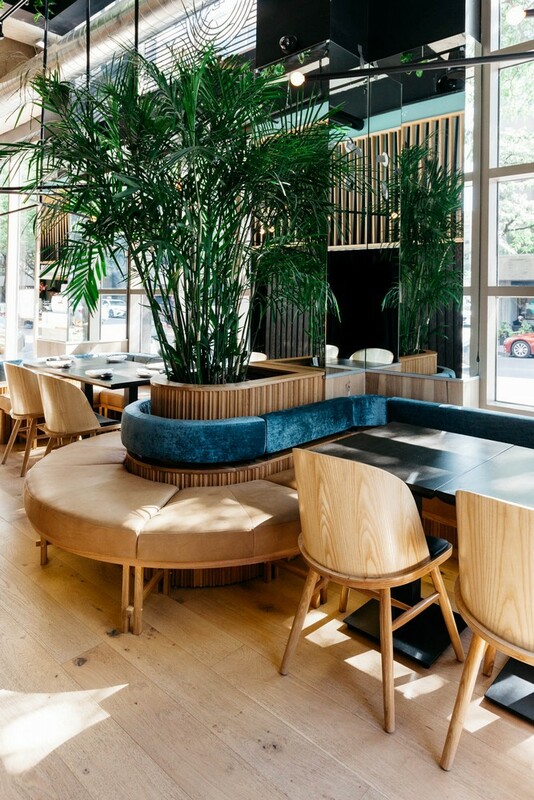 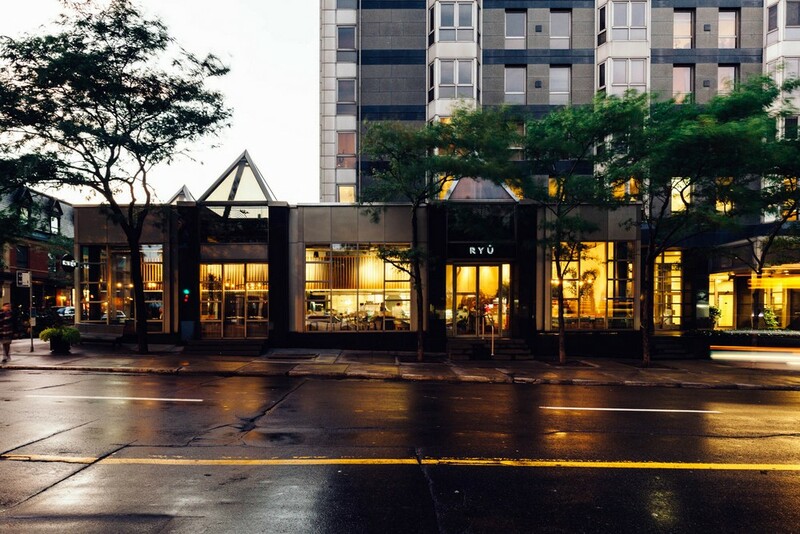 Ryù is a Japanese restaurant chain that opened their latest in Montreal’s Westmount neighbourhood. 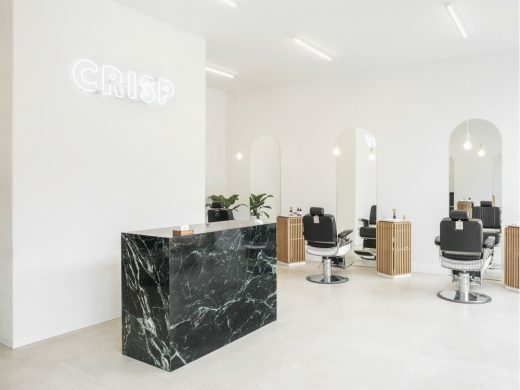 MRDK used a contemporary design approach with a Japanese sensibility prioritizing hand-worked natural materials that would patina with age and who’s beauty would be enhanced with their imperfections. 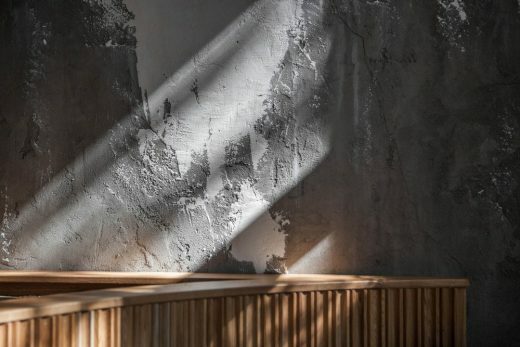 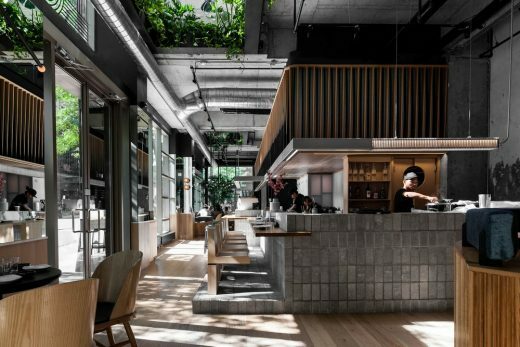 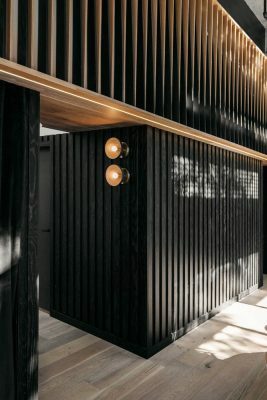 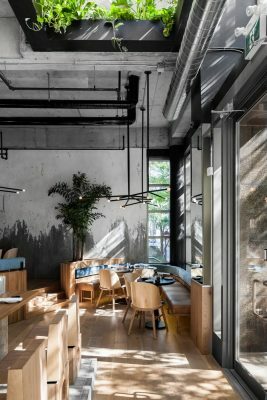 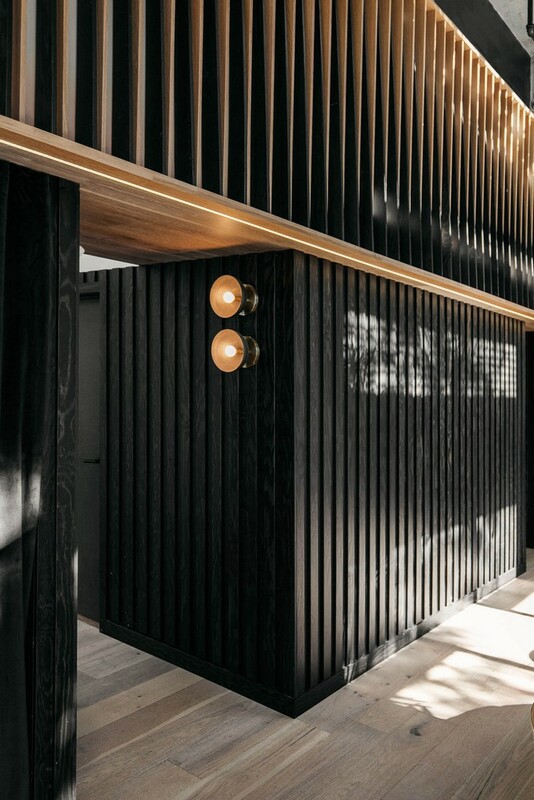 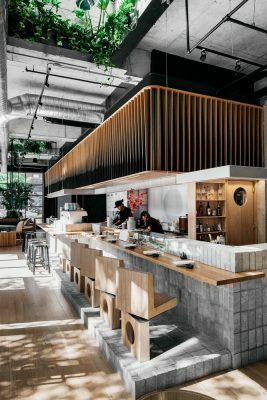 A play of light and dark wood slats suspended from a long bulkhead spans the length of the restaurant. 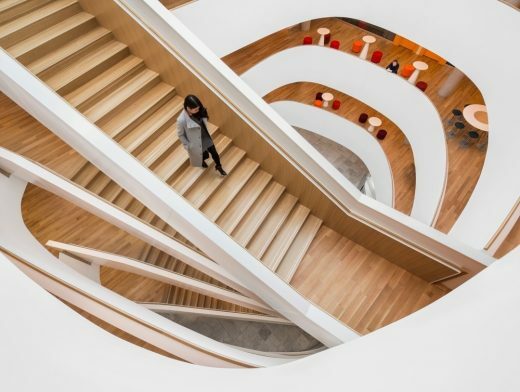 This dynamic play of wood creates an optical effect that gives movement as you pass through the space. 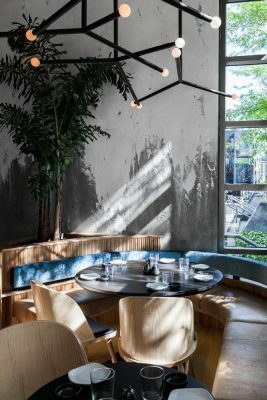 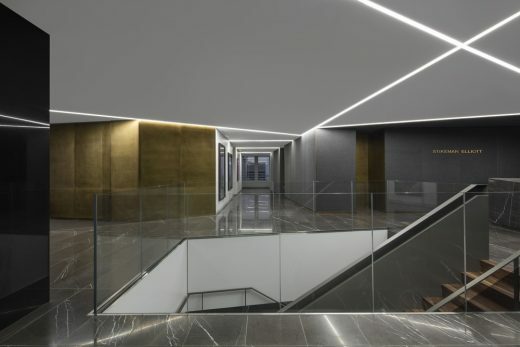 This movement continues in the design of a suspended light that follows the shape of the counter which was fabricated from 467 pieces of aluminum and 1868 brass sleaves. Transluscent polycarbonate panels were used to divide the kitchen from the sushi bar. 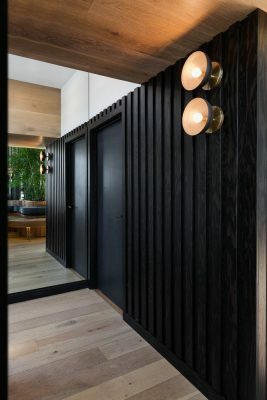 This creates a lantern effect at night and shows hints of the action happening within. A recurring use of the circle appears in many of the custom designed elements. This recurring geometry, reminiscent of the Japanese flag, gives a certain unity to these elements. 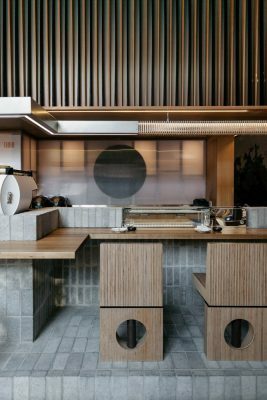 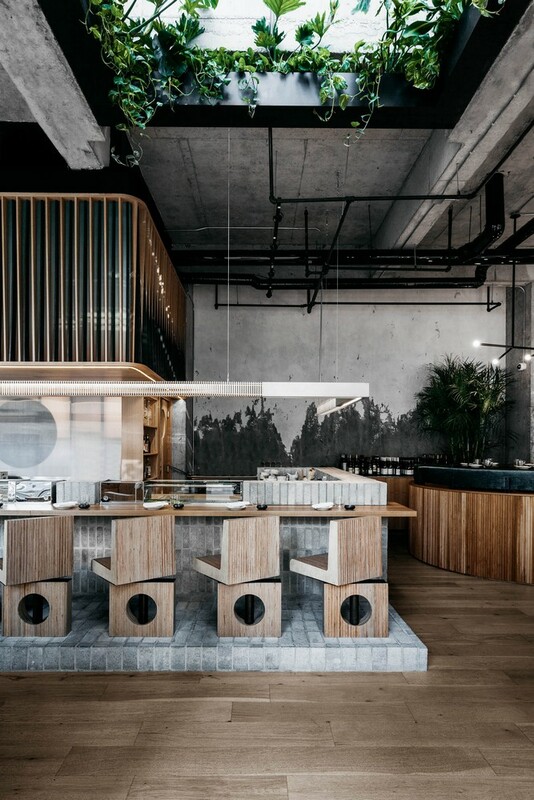 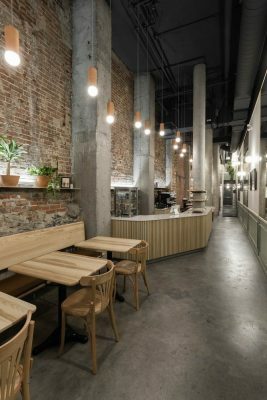 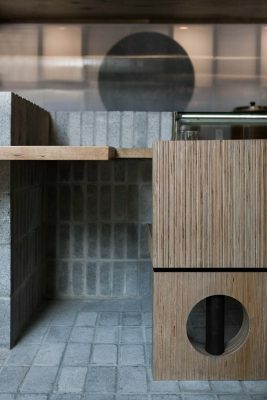 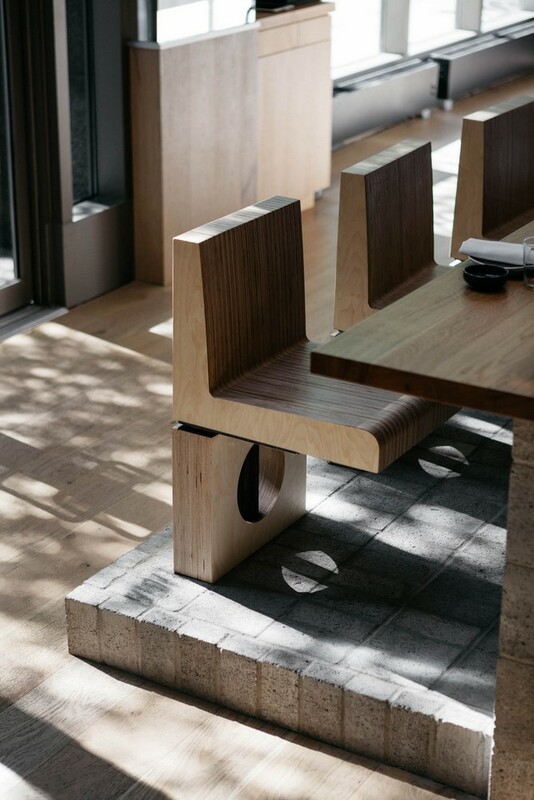 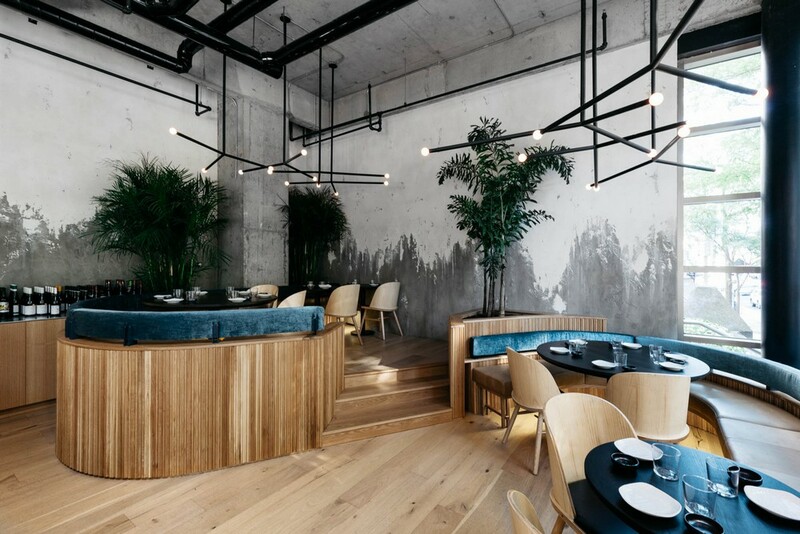 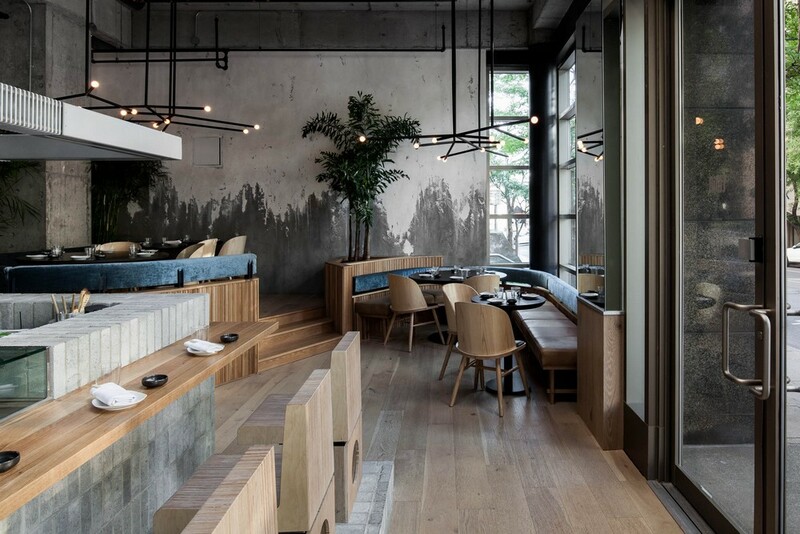 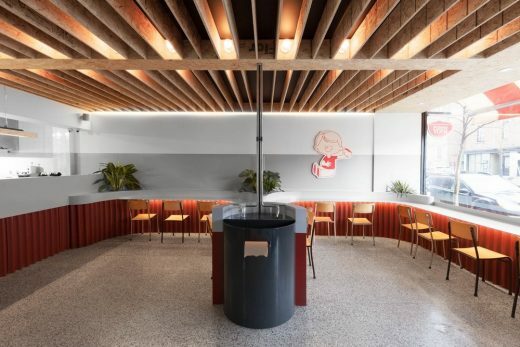 A heavy sushi bar made from concrete bricks supports cantilevered wood swivel chairs. Above, hanging gardens outline the two large skylights adding plant life and filtering the light.